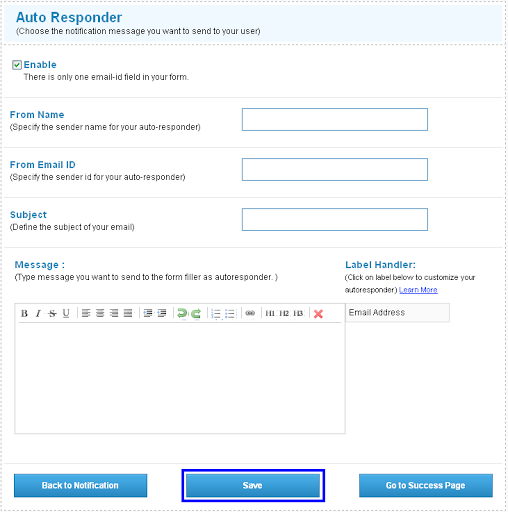 1) Click on Auto Responder in Additional Form Settings. 2)Check Enable to activate the Auto Responder Settings. 3)Enter the email address of the recipient for the Auto Responder mail. 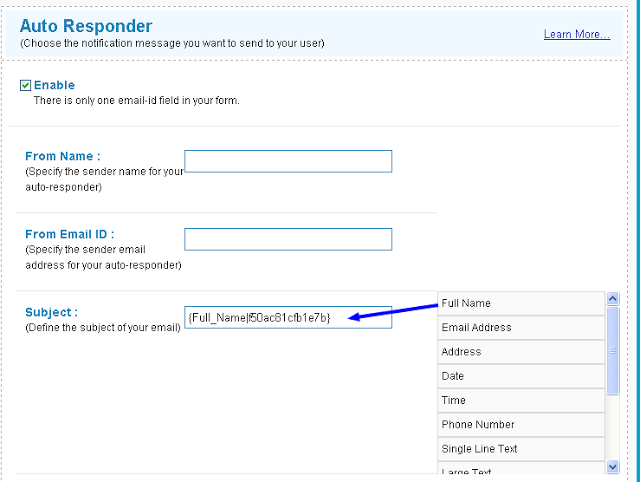 4)Enter the From Name, the sender name for the Auto Responder. 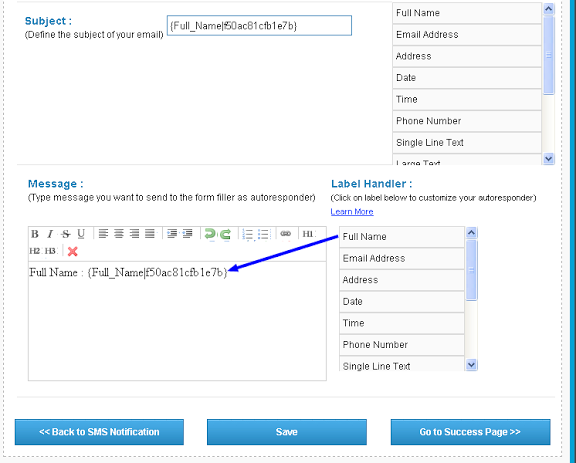 5)Enter a From Email Id, the email ID from which the Auto responder mail is to be sent. 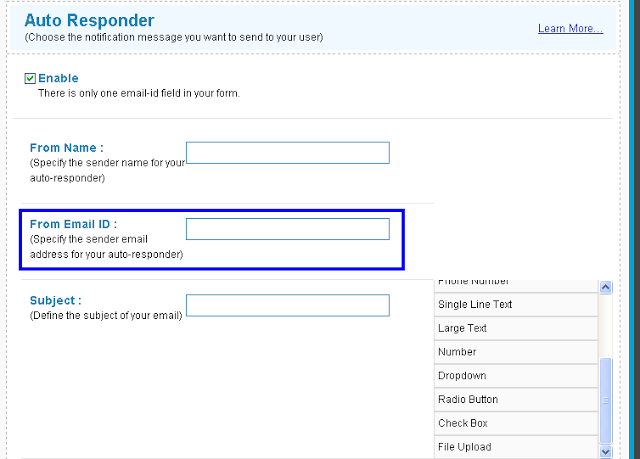 6)Enter a Subject for the Auto Responder email alert. 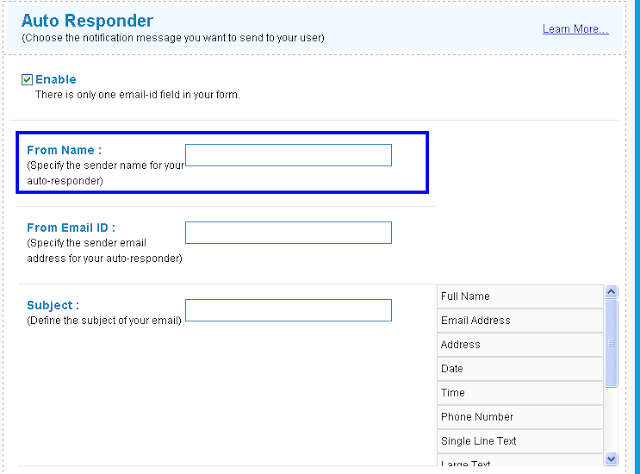 7)Enter a message for the recipient of the Auto Responder email alert and You can customize the auto responder email by clicking on the particular label in the Label Handler..
9)Save to confirm the changes made to the settings.